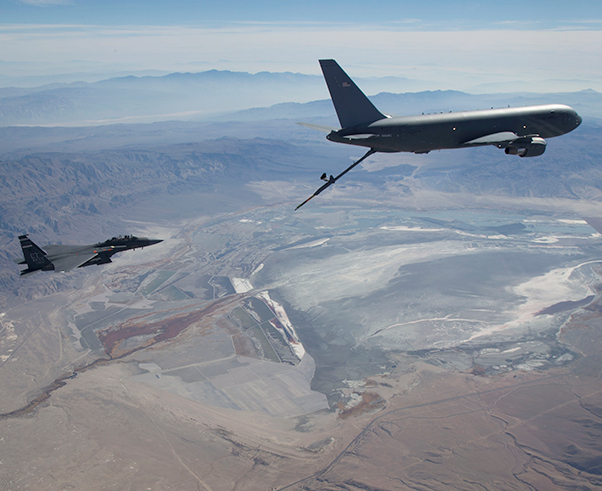 A KC-46A Pegasus aerial refueling aircraft connects with an F-15 Strike Eagle test aircraft from Eglin Air Force Base, Fla., last month. 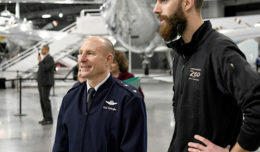 The flight test was part of KC-46 Phase II receiver certification testing, which has been completed according to a Boeing company statement Dec. 3. 2018. 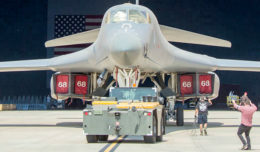 The 418th Flight Test Squadron conducted the tests with the F-15 at Edwards. Although Edwards has almost every aircraft in the Air Force’s inventory for flight testing and systems upgrades, the base does not have F-15s, so the 40th Flight Test Squadron from Eglin lent a hand for KC-46A receiver certification tests.